Packed bag lunches might sometimes fail to inspire, but at least the high school principal won't complain about them. The same can't be said for the food delivery apps that are growing in popularity at some South Surrey, B.C., high schools. 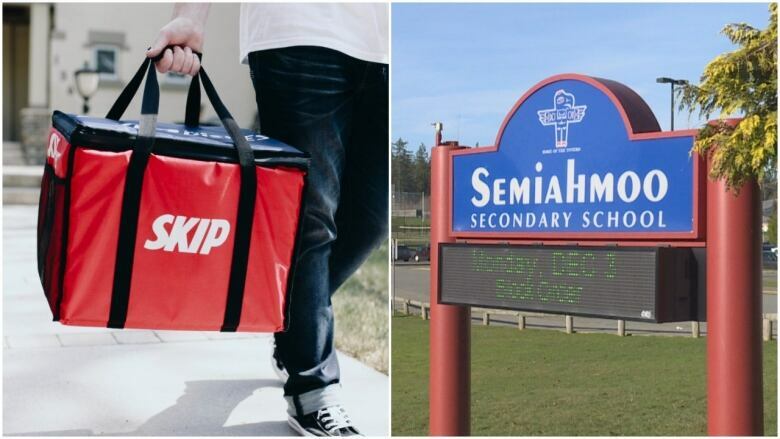 In recent weeks, the administration at Semiahmoo and Elgin Park secondary schools have had to impose restrictions on apps like SkipTheDishes, as deliveries from local restaurants became more disruptive. "The day we started noticing it, I think we had five deliveries within about an hour — and it was all outside of lunch," said Semiahmoo principal James Johnston. "So we started really watching for it more and more." Johnston said students were asking their teachers if they could leave class to use the washroom or get something out of their lockers, but in fact they were picking up food delivery. "Some of our teachers would notice it was taking maybe 10 minutes for them to come back, and some of the students would even come back with their food," he said. That's when it became a problem. At Semiahmoo Secondary, there's a large group of students who take part in daily lunch deliveries organized on Chinese language app WeChat. But Johnston said that hasn't been a disruption — the deliveries are well-organized, and students, often in the dozens, meet the driver just off school grounds during the lunch break. At nearby Elgin Park Secondary school, the same service only recently came to principal Jeff Johnstone's attention. He noticed a huge group of students in the parking lot, and rushed out, assuming students were involved in a fight. But when he got close, Johnstone realized a delivery driver was distributing dozens of lunches and taking payment. According to Elgin's principal, between 50 and 80 students get lunch delivered each day. He spoke with the delivery service and they agreed to do their business just off school grounds. Johnstone complains about the garbage and food waste he notices with the delivery, but he said it's not a huge concern. He said fewer problems have arisen with apps like SkipTheDishes, but he worries his students aren't adequately tipping drivers. Back at Semiahmoo Secondary, students have mixed reactions to a recent ban on SkipTheDishes deliveries. "A couple weeks ago, they [made] an announcement, and it was super serious," said Ben Rodericks, a Grade 12 student. 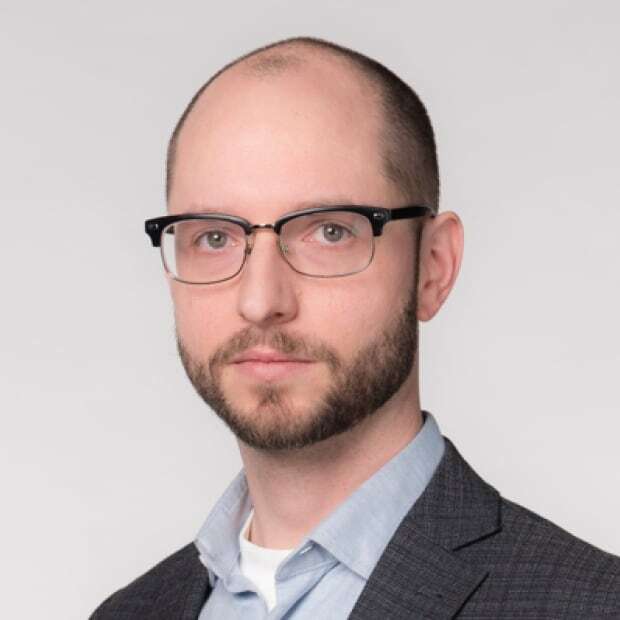 "And it ends up that the guy on the speaker goes, 'No more ordering SkipTheDishes. This is a huge problem at our school right now.'" Rodericks said the students used to order the food to one of the side doors and try to sneak it in, but school officials "caught on really fast to that." Ritik Kaushal, a friend of Rodericks, said all the students are trying to do is eat. "I just think it's outrageous that they're trying to regulate such things," Kaushal said. Grade 11 student Pill Kiang admitted the disruption had gotten bad before the ban. "The problem with SkipTheDishes is they don't get the location that specific," Kiang said. "It's hard to communicate with no phone calls." Kiang regularly takes part in the organized group order through WeChat, but hasn't relied on SkipTheDishes. He said he noticed dozens of orders arriving at the school each week. CBC News requested an interview with SkipTheDishes, but the company declined, replying with a brief emailed statement instead. "We aren't aware of any specific issues with deliveries to high schools," the statement read. "However, we believe that schools and principals can be empowered to set the rules related to food deliveries as they deem appropriate."